Equilibrium is a state of reversible reaction in which rate of forward reaction is same as that of reverse reaction. So we can say that all the equilibrium reaction is reversible reversible in nature but the reverse is not true. 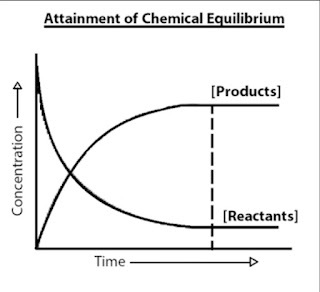 In a chemical reaction, chemical equilibrium is a state in which reactants and products are present in concentration which have no further tendency to change with time. 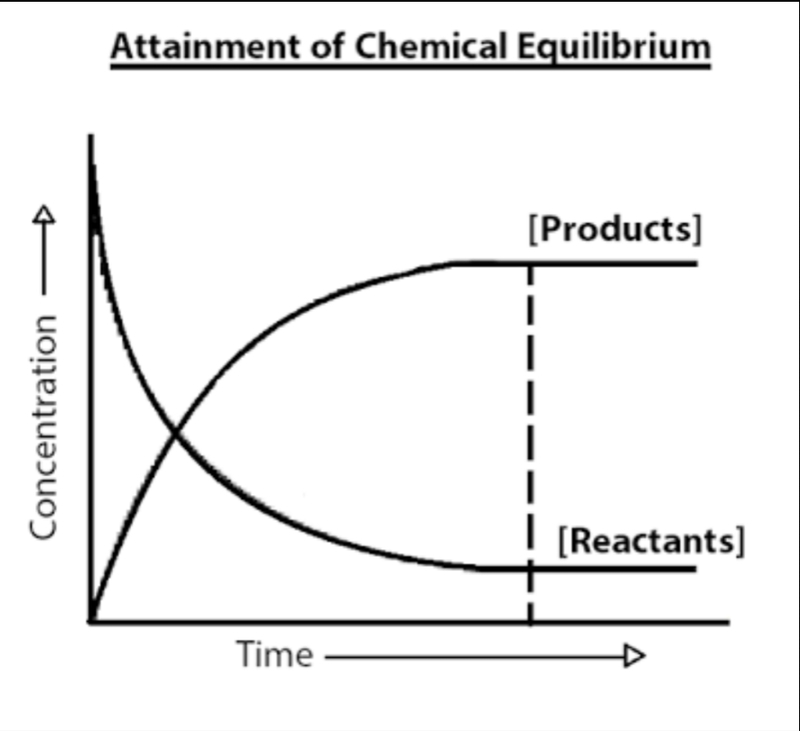 Chemical equilibrium is also known as dynamic equilibrium because there is no net changes in the concentration of reactant and product. The equilibrium between different chemical species present in the same or different phases is called chemical equilibrium. The entire process can be understood by considering a reversible reaction i.e. There are two types of chemical equilibrium i.e. Homogeneous Equilibrium:The equilibrium reaction in which all the reactants and products are present in the same phase are called homogeneous equilibrium. Heterogeneous equilibrium:The equilibrium reaction in which all the reactants and products are present in different phase are called heterogeneous equilibrium.